EB Pediatric Resources brings therapeutic and educational strategies for child development. We provide a community resource for parents of both typically and atypically developing children. Our mission is to provide family-friendly educational and therapeutic services to Chicago families. 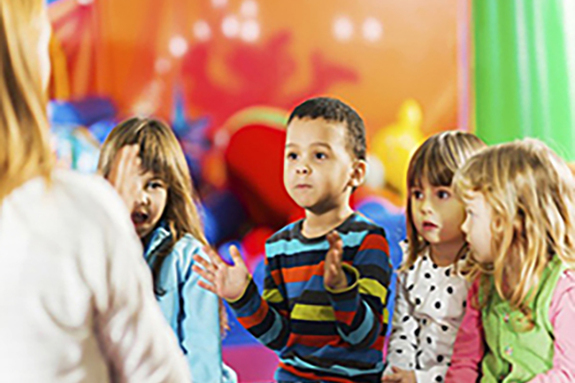 We offer preschool classes, intensive socialization dyads, speech & socialization groups, sensory playgroups, and much more! Our classes are taught by experienced, licensed speech language pathologists, occupational therapists, and behavior therapists. Individual therapy is available: We offer clinic-based, home-based, and school-based services. We are in network with most insurance providers and will help you determine your coverage benefits. NPN members get 50% off preschool registration. Click here to redeem the discount!